Thank you for your interest in hosting a fundraiser for NO/AIDS Task Force d.b.a. CrescentCare. The fundraising events carried out by individuals, like yourself, are what makes our services possible. The fundraising possibilities are endless, but one thing remains the same; every dollar raised will go towards the needs of our clients. Please review our fundraising guidelines in the tabs above. If you wish to proceed with your activity, please select “Apply Now” and complete the application. Organizers are responsible for the planning and execution of the event. This includes all set-up/ break-down, promotion, volunteers, and liability. 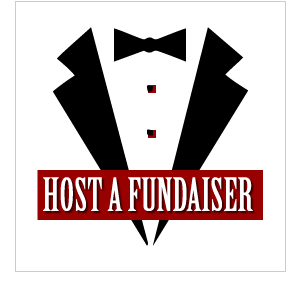 A Fundraiser Application (see “Apply Now,” above) must be submitted and approval from CrescentCare must be received before planning any event. CrescentCare cannot solicit sponsors for the event. Event organizers should identify any businesses or organizations to be contacted for solicitation. CrescentCare should review and approve all promotional materials that includes our logos or name prior to production. The official logos of NO/AIDS Task Force and CrescentCare are registered trademarks and cannot be legally reproduced without written permission. CrescentCare will promote the event through Social Media. Any contact with media must be coordinated with CrescentCare. A donation solicited on CrescentCare’s behalf, whether the donation is an item or cash, is fully tax-deductible only when it is made directly to CrescentCare. This information must be made explicitly clear in promotion of the event. In general, we ask that no more than 15% of gross revenue generated be used to cover expenses. Organizers who wish to request the presence of CrescentCare representatives should make their request at least two weeks prior to the event. Though we will make our best efforts, CrescentCare cannot guarantee the presence of staff for any community fundraising event. As administrator of the proposed event, I agree to assume full financial responsibility for the special event/fundraiser and understand that NO/AIDS Task Force d.b.a. CrescentCare (“beneficiary”) will assume no liability related to the event unless specifically agreed to in writing. I agree to adhere to all federal, state, and local laws as they apply to fundraising and will remit the net proceeds from the event, as stated in the attached proposal, to Beneficiary within 90 days after the event. I agree to submit for approval at least one week before printing, all promotional materials using beneficiary’s name and/or logo, and will not use beneficiary’s name or logo without written permission from the Director of Development, Development Committee Chairman or Executive Director of NO/AIDS Task Force. Additionally, I agree to submit in advance for approval by the Director of Development the names of any business or organization to be solicited for support, so as to avoid conflict with other fundraising efforts benefiting NO/AIDS Task Force. I agree to the terms above as the authorized representative or organization responsible for the event.